We can convert Timestamp to Date in java using constructor of java.util.Date class. The constructor of Date class receives long value as an argument. So, you need to convert Timestamp object into long value using getTime() method of java.sql.Timestamp class. Let's see the constructor of Date class and signature of getTime() method. 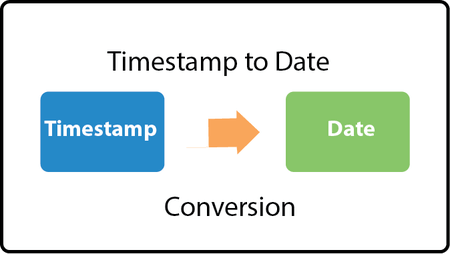 Let's see the simple example to convert Timestamp to Date in java. The Timestamp class extends Date class. So, you can directly assign instance of Timestamp class into Date. In such case, output of Date object will be like Timestamp. But, it is not suggested by Java Doc because you may loose the milliseconds or nanoseconds of data.